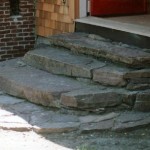 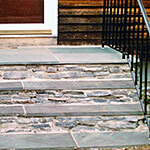 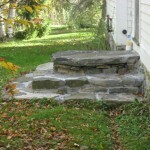 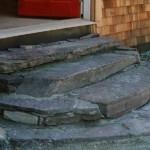 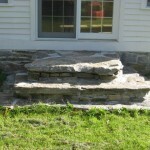 Artisan made stone steps and foundations can become the focal point of an outdoor area. 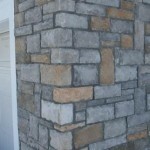 The beauty and ruggedness of natural stone adds to the appearance and value of your home and property. 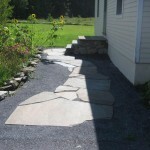 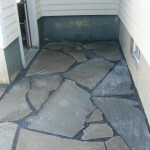 Notice the blue stone walkway pictured above which transforms this otherwise narrow and overlooked area of a back door entryway into an attractive and functional element of a Vermont property. 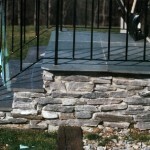 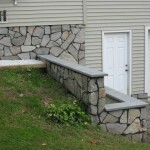 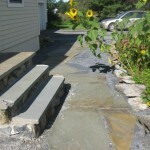 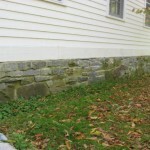 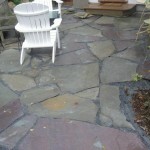 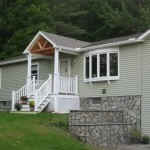 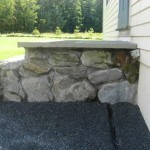 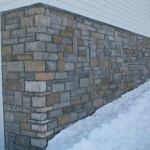 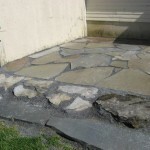 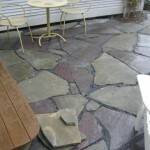 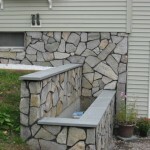 Stone application overlay on foundation creates a cost-effective and attractive value to your home.